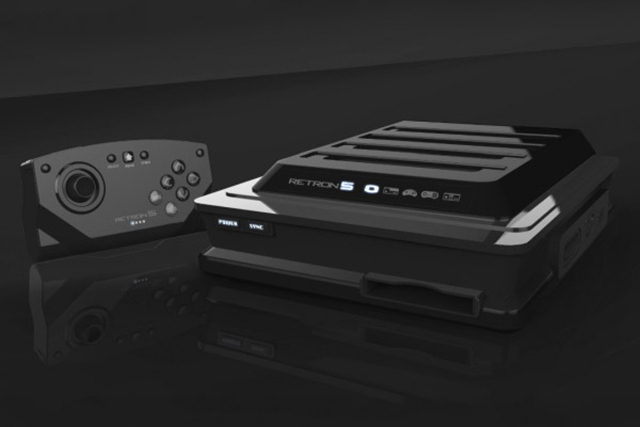 The pleasantly sci-fi sounding RetroN 5 may not mean a thing to you right now, but this little black box may become a household treasure if it delivers on its unique promise to play cartridges from NES, Famicom, Genesis, SNES and Gameboy Advance (with added Game Boy and Game Boy Color compatibility). The previous edition of the machine, the RetroN 3, won rave reviews from fans of retro gaming who praised its ability to run classic games with ease. This latest edition from developers Hyperkin also runs through HDMI and adds save state functionality. The machine boasts its own controller with mappable keys, but it also features two slots for each of the supported machines’ original controllers. When [the games] were programmed originally, there was a space in between each pixel…but a modern television does not recognize that space and will attempt to fill it in with surrounding colors, which is why it’s actually blurry compared to playing it on an old-school CRT. What we’ve done is we’ve gone back and we’ve put that space back into it. You can actually identify each and every pixel—it comes out looking like high definition. Other additions include the ability to edit sound options beyond the limits of the original consoles’ capabilities and adjust game speed. Some of these functionalities could be argued to take away from the purity of the retro gaming experience, but for many the ease of playing old cartridges through a suitable high definition output is sure to facilitate a nostalgic wave of rediscovery exceeding the selection of Nintendo’s Virtual Console. Personally, I’m sold already. My Genesis (we get the far cooler Mega Drive moniker over here) looks awful on my TV so HDMI without the upscale blur is enough of a selling point for me and a solid reason to lookforward to playing Flashback again. Is the RetroN 5’s $100 price tag too much for software that is decades old, or is it a steal considering the potential amount of classic titles just waiting to be dusted off and loved again? Note: it’s the second one.